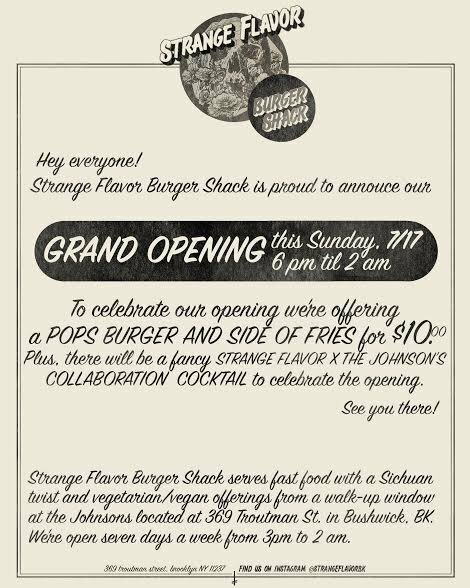 This Friday, come celebrate the official grand opening of Strange Flavor Burger Shack, the newest business venture set up in the front room of The Johnsons on Troutman Street. The owners of The Johnsons have long envisioned setting up some kind of food option in the space; not too long ago, Duncan's Burgers had a brief stint there (though the popular late night burger delivery service only remained there a few months). Since then, management searched for the perfect fit, meeting with various people who proposed plans for the spot, including Williamsburg's The Woods and other independent business partners. 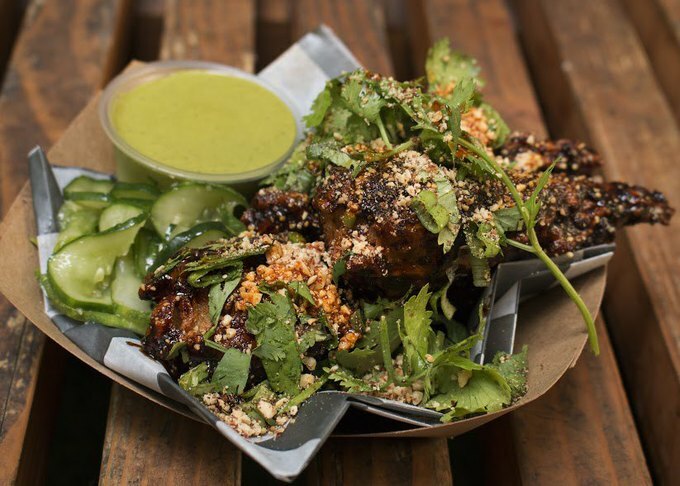 The eventual choice was Strange Flavor, a "fast food joint with a Sichuan twist" owned by Matthew Kleine and Bill McGovern. The pair met working at a coffee shop together and bonded over a passion for food and cooking, eventually broke from their previous jobs to start Strange Flavor. It began as a pop-up at Brooklyn Safehouse in Greenpoint back in April. 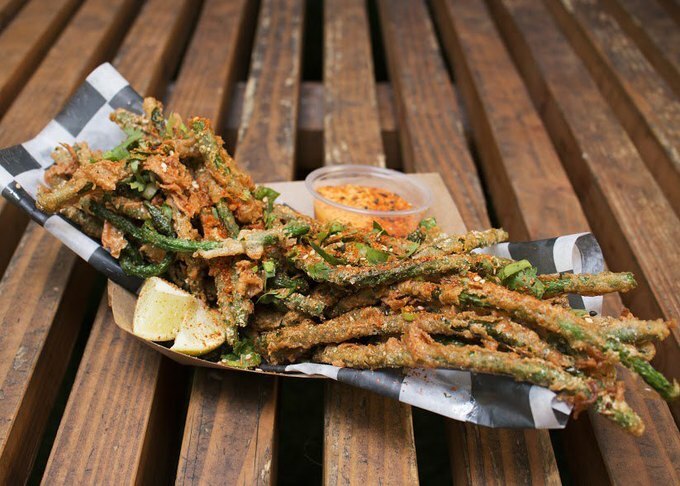 Now, at The Johnsons, they serve burgers and fries, but also less conventional options such as Spicy Long Bean Tempura and Vegan Chicken Wings. Join them this Sunday, July 17th from 6pm until late to celebrate their grand opening! They will be offering a $10 burger and fries special all night and the bar will be mixing a collaboration cocktail special called Strange Flavor X. With classic, vegetation, and vegan options (and booze), there is sure to be something for everyone!